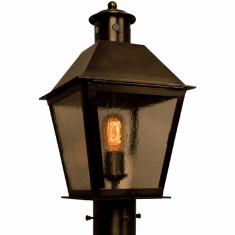 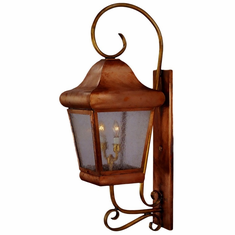 Based on traditional early American lantern designs, the Belmont Post Light is a classic outdoor copper lighting design that works well with a wide variety of American home style including Colonial Revival, Greek Revival, NeoClassical, Arts & Crafts, Spanish Colonial, Log & Timber and more. 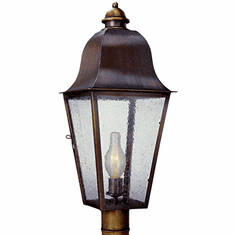 Shown in here in our dappled Chemical Rust finish with Seeded Glass, the Belmont collection is 100% handmade in the USA from solid copper and brass for the highest possible quality outdoor lighting. 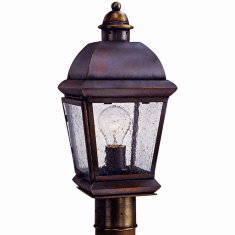 The solid copper and brass construction means your lighting fixtures will never rust or corrode and will last for many years to come outdoor or indoors, guaranteed. 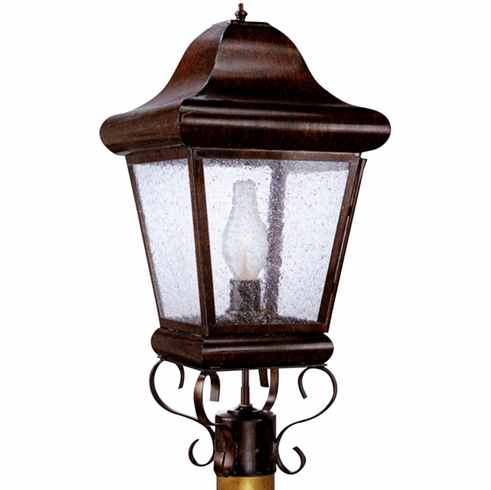 Available as a wall light, a post light or a pier base column light in a variety of size, each lantern includes your choice of any of our all natural hand applied finishes and styles of glass at no extras cost making it easy to get a custom look at standard prices.